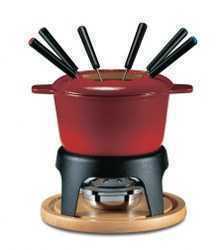 Individual 1- person cheese or chocolate fondue set. 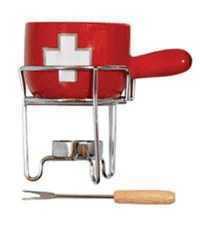 Has a 2” h x 3” dia. 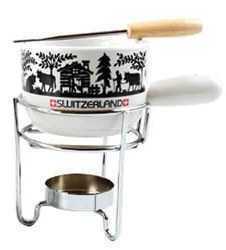 Small white ceramic pan with Appenzell Farm scissorcut design, one fork and candle light burner. 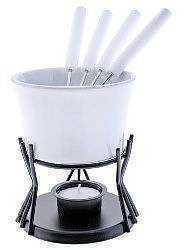 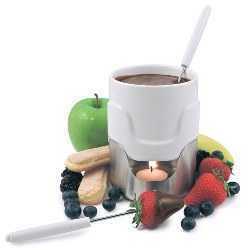 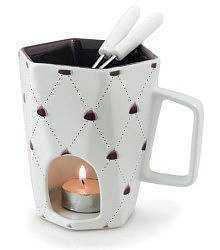 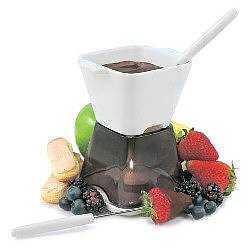 A 4-piece chocolate fondue mug set includes the mug, 2 forks and a tealight candle for a low heat flame.